Spring is a notoriously dry time of year in Florida, which isn’t usually good news. This season’s dryness is especially significant if you recently installed sod in your yard. Even if you have drought-resistant sod, it is still essential that you keep your new grass hydrated so that it can grow properly and thrive for many years to come. By hiring an irrigation company to evaluate your sod and install an efficient irrigation system in your lawn, you can ensure that your sod is always properly watered, regardless of the season. Forget dragging hoses, watering sprinkler output in a tuna can, and setting a timer as a reminder to move the sprinkler across your yard. A professional irrigation system measures the exact amount of water used by calibrating each head to put out a specific amount of water. You can even time your irrigation schedule based on the needs of each season. Be sure to select irrigation equipment with sensors that turn off your irrigation system in the presence of rain. When you opt to use an irrigation system, you can trust that your sod will remain healthy and hydrated, and you will also use less water, lower your water bill, and have the freedom to travel or run errands while still guaranteeing your sod is watered properly. 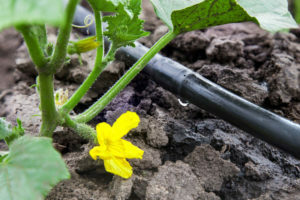 Irrigation systems are meant to be low maintenance, but they do still require a certain level of care and attention. As the weather begins to warm up, complete a test cycle of your sprinklers to find any broken sprinkler heads. If your sprinklers are less than ten years old, you can simply select an option for a “test” that automatically runs each zone of your irrigation system, one at a time. As each zone runs, you will have the opportunity to identify any areas where water flow isn’t as controlled as it should be. Like symptoms of an illness in your body, it’s often easy to spot symptoms of a malfunctioning irrigation system by looking at your grass. Is one specific area of grass brown while the rest is green? A sprinkler head might need to be replaced in order to help water reach that dying area. On the other hand, if certain areas of your lawn look too much like swampland, you likely have a serious leak to resolve or your irrigation system needs to be reprogrammed to water less often. If you need help or advice on nourishing your new sod, keeping it hydrated during the dry spring months, or maintaining it to enhance your home’s curb appeal, just call (813) 633-8665 to speak to a sod expert at Council Growers Sod in Tampa, Florida. The team at Council Growers Sod offers industry expertise, grower knowledge, honesty, and local support. Call today to learn more!